Guests visiting MoCo's Founding Farmers enjoy 2 free hours of parking Monday-Friday, and 3 hours of free parking on Saturday and Sunday in the parking lot / deck located immediately adjacent to the restaurant. If you park in the lower level garage, please be sure to check at the front desk for a parking validation ticket. The bar at Founding Farmers is a truly unique and innovative experience, with true mixologists specially trained in 'bar-chefing'. The bar menu harkens back to the pre-Prohibition era with handcrafted cocktails that use juices and mixers prepared by hand as well as Fountain Sodas and Phosphates, prepared to order. 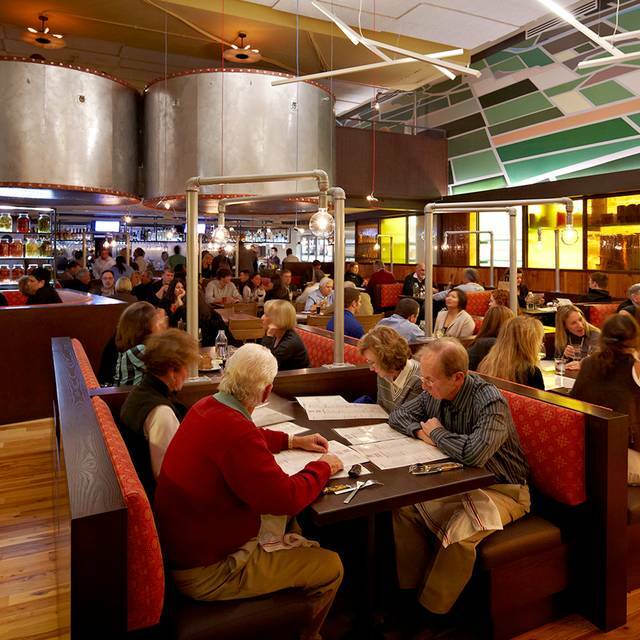 MoCo's Founding Farmers includes a second floor mezzanine level that is ideal for special gatherings, business meeting, parties or corporate events any time of day, for breakfast, lunch or dinner. The mezzanine can accommodate up to 75 guests comfortably seated for dinner, or up to 100 guests for a standing reception. The full restaurant is also available for buyouts. To make a special event reservation, contact us at (301) 340-8783; MoCo@FarmRequest.com. 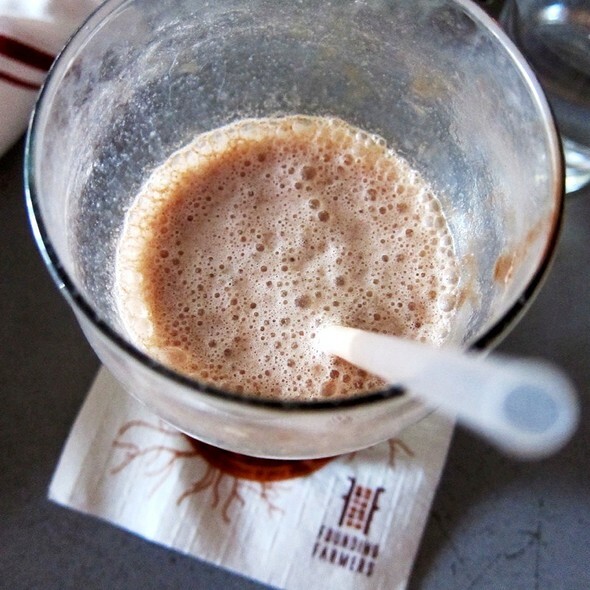 MoCo's Founding Farmers is owned by the more than 47,000 family farmers of the NDFU, serving American inspired real food and drink with an emphasis and focus on cooking from scratch. This is a cute little place. The service was great! The biscuits are amazing but i was not a fan of the French toast. I’ve enjoyed every Founding Farmers experience and always recommended it to friends. That changed tonight. While the food remained good, the service was terrible. The waiter was insincere, neglectful, and disengaged. Takeout would have been a better option. I was hosting a brunch for my son's "60th" birthday with his family and in-laws. I selected Founding Farmers because my daughter-in-law hosted a similar function there. The fact that I wanted to return for this event, itself speaks volumes; but more specifically, the location is convenient to Washington, DC (for me), the server staff was knowledgeable (about the menu), efficient and courteous. The $9.00 draft beer is a little bit pricey, but who cares when you're having fun. Lastly, the food was great and cooked to perfection (according to all). Founding Farmings is definitely on the top of my list of "places to eat out." Went for brunch on a Saturday and it was far too crowded, and busy resulting in service that gave one the impression that they just wanted to get one out of the door as soon as possible. Food is delicious and customer service is outstanding. Had such a wonderful experience at the FF in MoCounty. Each year, we try another location, and we were very happy with this location by far. Absolutely wonderful place for dates. 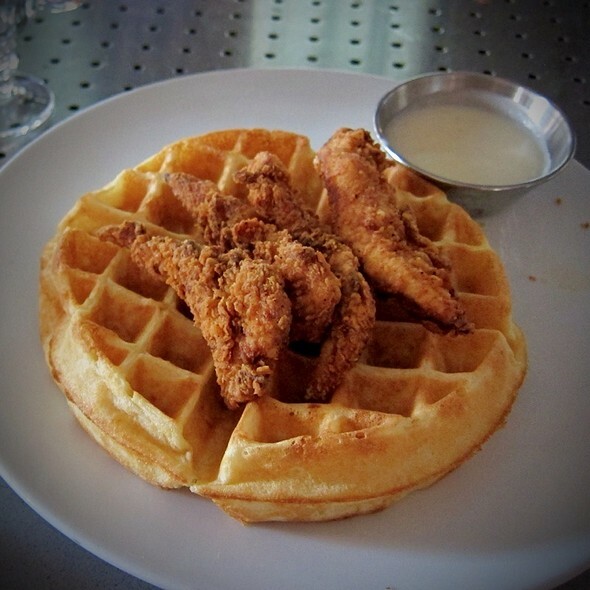 Modern looks, and modern styled food such as the superb Chicken and Waffles make this a top pick for me. While the menu lightens the heavier side of the wallet, its pretty substantial the quality that the food contains. The syrup for some reasons seems to be the biggest of all things that I adore about this restaurant. It goes to show that attention to the more minute, and less emphasized of items, can be the ones that really make a difference and really make you come back for more. After 8 minutes of being seated and zero staff greeting us or waiting on our table, we stood up and left. Great food and good service, I'll be back again and again!! It's always freezing in your restaurant but the warmth of server Michael compensated!!! We love Founding Farmers! The food is delicious and the coffees and teas are great as well. We love the environmentally conscious atmosphere, including the revolving door and the bamboo straws. The Founding Farmers breakfast meal is great!! My second visit to this Founding Famers location. On the first everything was great. The appetizers and drinks were good. I had the shore style crab feast. The fried chicken was very dry and a huge disappointment. Delicious food with a nice variety. Great for a family night out or a date night. Delicious cocktails! Food is wonderful! Great service! Nice selection for kids! (Would be nice if they would do a kids coloring menu or something to keep little kids occupied though). The French Toast and Bacon are out of this world!! My chicken & spinach enchiladas came out cold - not warm but actually cold. They reheated the dish but by the time it slowly came back out, my husband was done his dinner! All was said was an apology by the waitress and the manager said “he was sorry I had to eat by myself”. Had a great Meal. Wonderful drinks. Dessert was so good! Was way loud in restaurant? Awesome knowledgeable waiter and great food! Love this place! Unusual food. Interesting flavors. Fine place for dinner with friends. Noisier than I prefer but food and service are excellent. One of our favorite restaurants and we treated a couple this last time and have recommended it to many folks who've also enjoyed the dinning experience. The quality and caliber of food is outstanding and makes up for the noise level...but everyone comes and enjoys. It's hard to squelch enthusiasm. The mussels, friend chicken, biscuits all superb but that chocolate ice cream? To die for.. Carmen, our server, was on the ball...attentive w/o being intrusive. See you next time!! I’m a big fan of FF, so I brought my family here for a Sunday brunch, and they were extremely pleased with the experience. The crab and artichoke dip was a big hit, and our sever Amber was extremely attentive to us. 10/10, will most certainly be back! Went there for Brunch with my girlfriends and it did not live up to the hype. French toast was good (but came with no sides); brisket and poached egg hash was good too; but we were disappointed that they wouldn't sub in vegetarian options for my friend who ordered the egg plate (comes with breakfast meat, 2 eggs, a side and a bread) without charging her extra - even though she didn't eat meat. 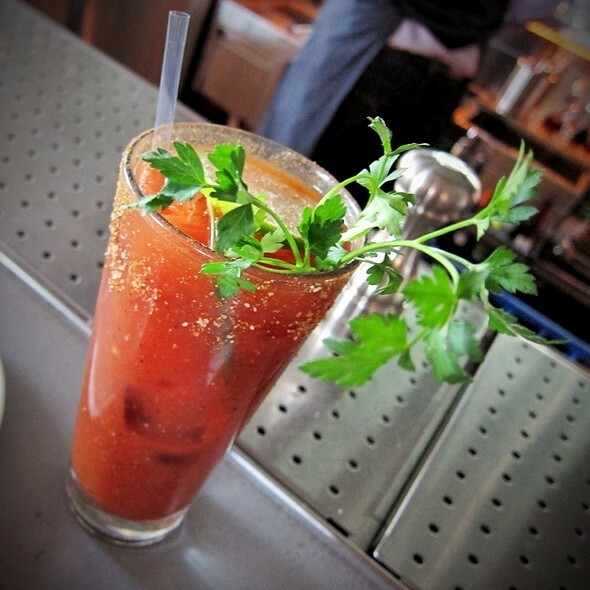 Bloody marys were late and WAY overspiced (and who puts cumin in their Bloody Mary Mix anyway???). Have otherwise heard great things about this place and a previous experience downtown for drinks and apps was great. 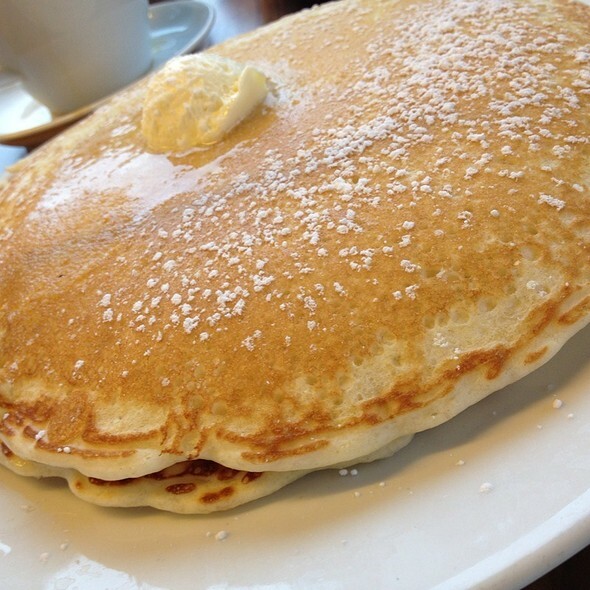 Plan to give it a second chance - just not for Brunch. Amazing food and even more amazing drinks. Always a great time going there for brunch. The Pastrami hash was unbelievable. You can really tell everything is scratch made. There was a great energy inside. 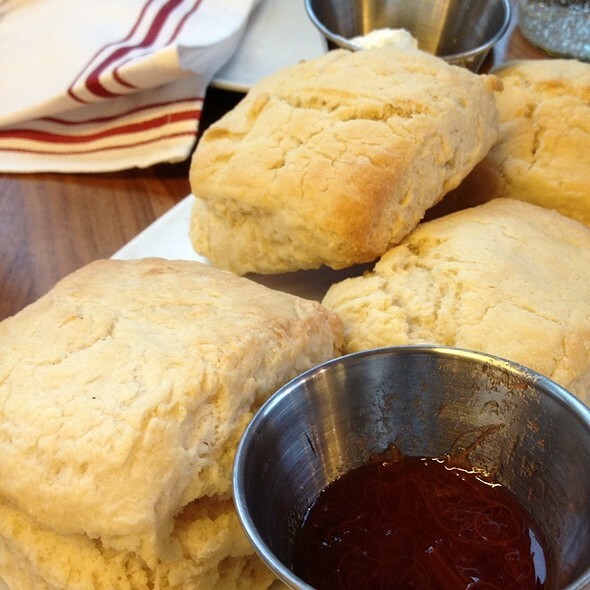 And the fresh baked biscuits are by far the best in the Area. I would give them six stars if I could. 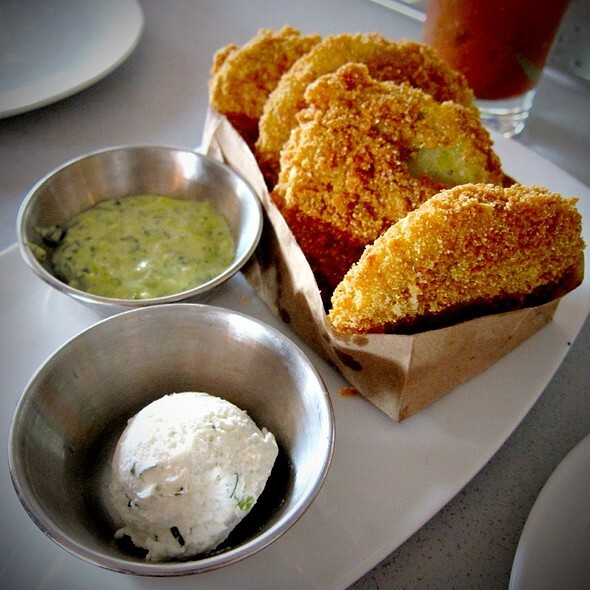 We frequent Founding Farmers - Montgomery County and are usually very pleased with the food and the service. We came for our anniversary and although we weren't blown away by our experience on this special occasion, we will return. Child size options would be a nice addition to the menus. We love the brunch menu and it never disappoints! Dan was an excellent server! This is one of our favorite places and we will certainly be back! Fantastic food and great service! Can't wait to go again. We go to Founding Farmers fairly frequently. The food is always good, menu is extensive and includes pretty much any food preference. Service is good, acoustics fine for having a conversation. Always pleased. Have been to this location three times now and each time the service has been very timely, friendly, and knowledeable. The menu has some limitations for people like me with dairy allergies, but the kitchen has always been helpful in modifying their offerings to suit, and the food has always been delicious. This is a favorite spot to meet friends for lunch. 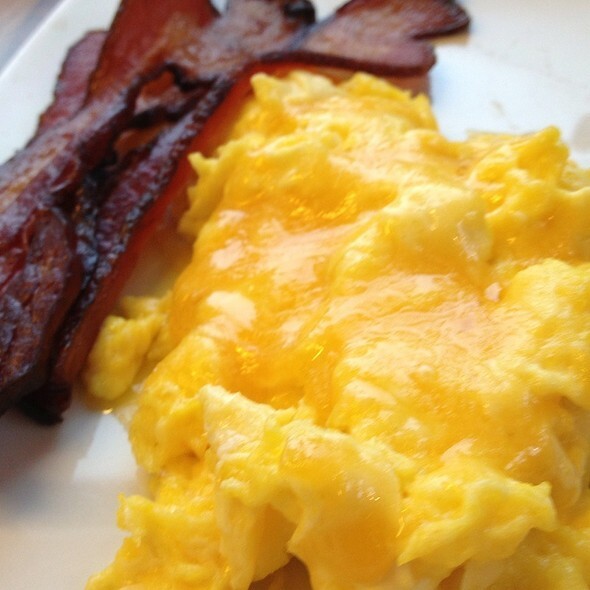 We have done the brunch in Tysons several times and loved it. Excellent, just the same as we have found other locations. We expect to return. I love the food, the chicken is amazingly good. Also the service is very good, never have I had an issue. Food and server were wonderful. Person in the reception (wore all black/heavy weight lady) should not be in the front to welcome clients. She could not find my booking from Open Table even though I had my appt via email. She was abrupt and not friendly. 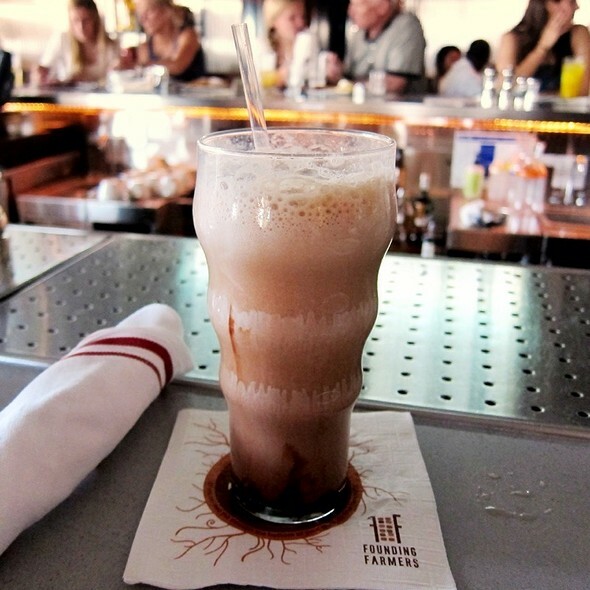 Founding Farmers has always been a favorite and everybody was nice and friendly from previous visits. Thank you. The fried chicken was delicious! I especially loved the chow chow served with the collard greens.